Somat Remote Pulping Systems offer maximum waste system flexibility. Is your waste source a distance from the centralized disposal area? The Remote Pulper system can be separated Somat Remote Pulperfrom a Hydra-Extractor® by a few feet, across the room or several hundred yards away. How Do Remote Pulpers Work? 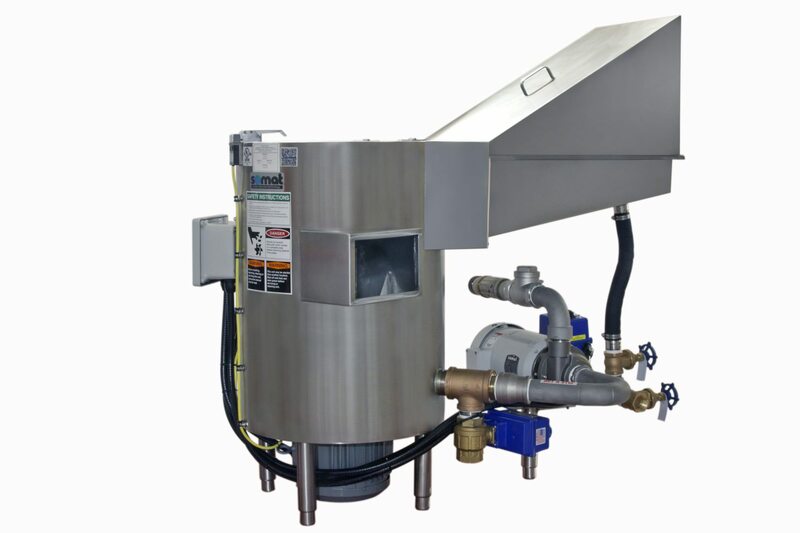 Foodservice waste enters the single or multiple pulpers (up to 15 pulpers on the system), is processed then mixed with water to create a pulpable slurry comprised of approximately 95% liquid and 5% solids. The slurry is pumped through a pipeline to a remotely located Hydra-Extractor. Able to pump waste slurry a few feet to several hundred yards and to different floor levels.